Happy Friday to everyone! We are FINALLY getting some snow here in southcentral Alaska which puts me in a very good mood, I love it! I hope you are enjoying your weather, wherever you may be. 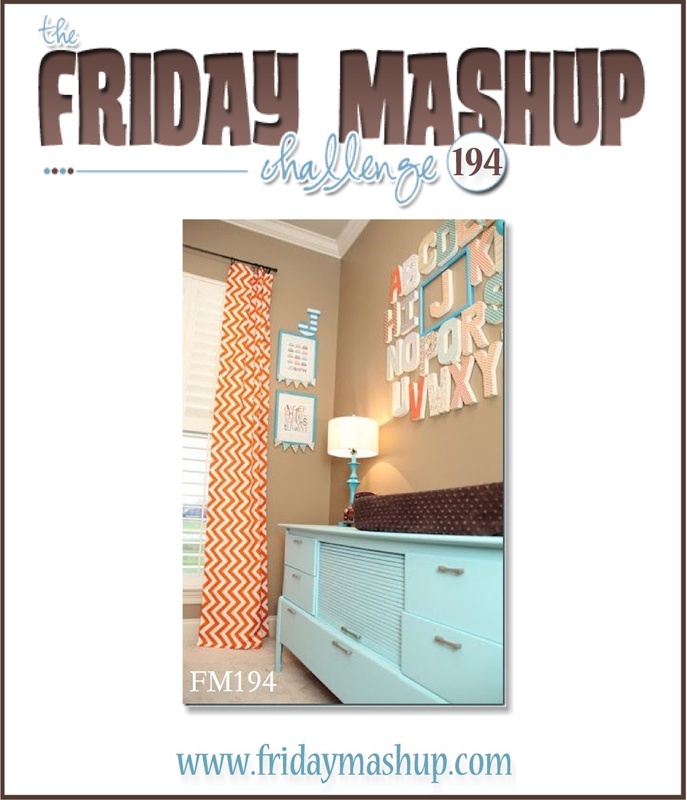 Another thing that puts me in a good mood....Friday Mashup challenges and yes, it's time for another one :) This week Tara is our hostess and she wants us to use the colors Chocolate Chip, Coastal Cabana and Tangerine Tango, plus she'd like to see a project for baby. I used the sketch from Freshly Made Sketches as my jumping off point, isnt it a great sketch? I think I need to create some more cards this weekend using it! Head over to The Friday Mashup to check out the rest of the great projects from the DT and also check out Freshly Made Sketches and play along with them! 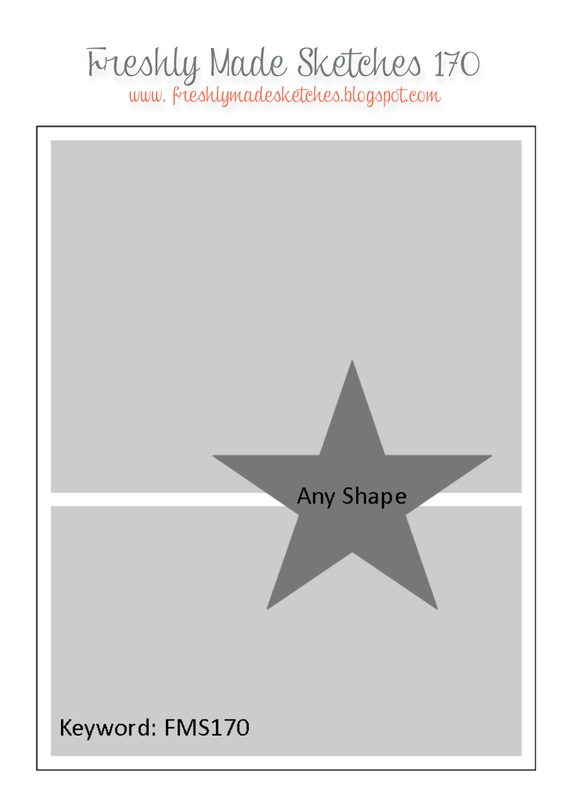 Create a project with a "Baby Theme". Create a project with "Brown, Aqua & Tangerine". or Mash it Up! and create a "Baby project with the above colors". This is adorable! Love the outfit against that sweet DSP! Glad you joined us at FMS! How sweet is this! I love it! Super sweet, Lisa! I love the DSP and those sequins. Great touch. Lisa, I love your CAS card, it is really sweet! And the sequins complete the card. Very sweet card Lisa! Love that little onesie and the sequins! Thanks for joining us this week at Freshly Made Sketches! This is so darling! You did a great job!